Harvest Moon Whole FoodsRecord Owner? Log in. 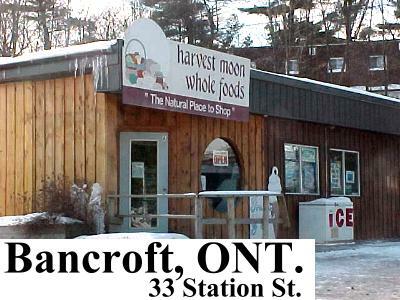 Bancroft is located 1 - 1/2 hr. drive north of Belleville on Hwy 62 and east from Peterborough on Hwy 28. Monday - Saturday 9am - 5:30 pm. 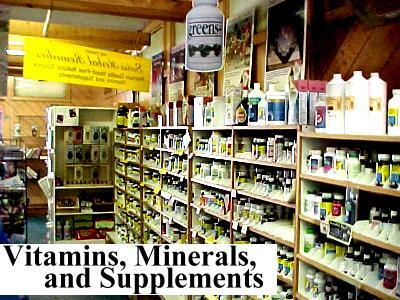 Harvest Moon Whole Foods are specialists in Natural Foods, Vitamins, Mineral Supplements, Health Foods, Bulk Foods and Specialty Diet Foods. Featuring Swiss Herbals, Flora, Innovite, Global Herbs, Naka, Sisu, and Prairie Naturals. Wine making kits and supplies, cosmetics, Reference Books, Essental Oils. Bulk candy, Spices, Coffees, Coffee Substitutes, Teas, Bulk Beans, Flours, Sugars, Nuts, Rices, Grains, Pastas. ...intended to enhance the quality of Life...naturally. 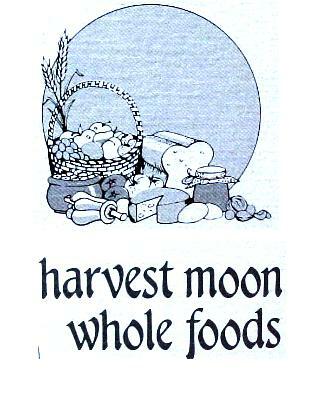 Have something to say about Harvest Moon Whole Foods?